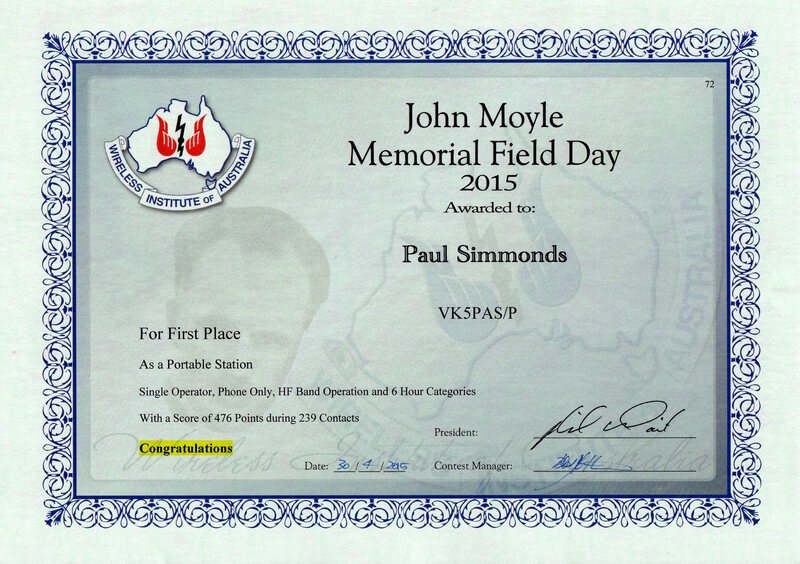 I was very pleased to receive in the mail the other day, my certificate for the 2015 John Moyle Field Day (JMMFD). I came first in the Single Operator, Phone Only, HF Band 6 hour operation (PORTABLE). I headed down to the Coorong National Park for the JMMFD. For information on the activation, please see….. Thanks to everyone that called me. Again, another excellent and well deserved result! And I enjoyed tea down there and a nice bottle of red whilst I was watching the sunset.